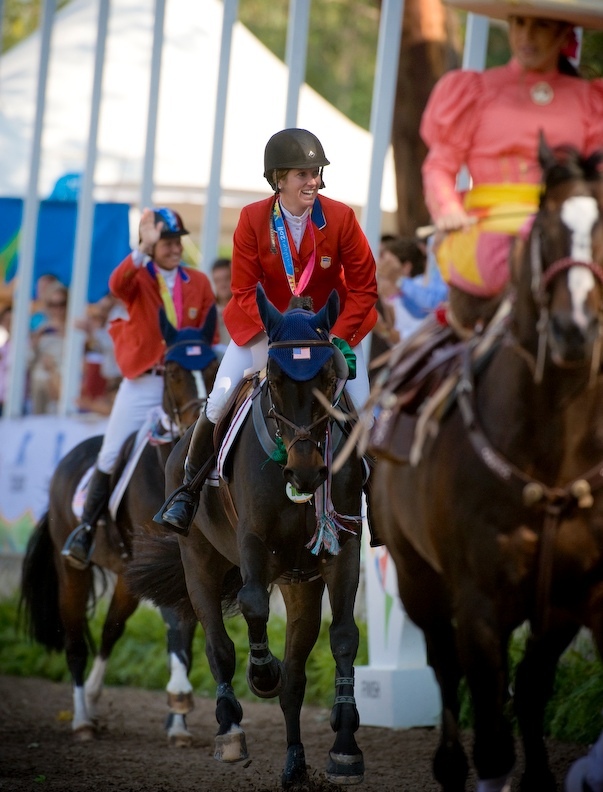 It was an epic adventure in Mexico for the United States Equestrian Federation’s Dressage, Eventing and Jumping Teams. They won a record 10 medals across the three disciplines and cemented a solid foundation for the 2012 Olympic Games. 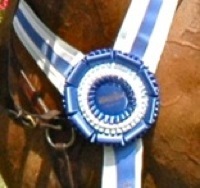 Bookended by double Gold medalists Steffen Peters, who rode the Hlavacek’s Weltino’s Magic to record scores in the dressage ring at the Guadalajara Country Club, and Christine McCrea, who jumped five immaculate rounds on Windsor Show Stables’ Romantovich Take One at the same venue 10 days later, the U.S. won at every turn. 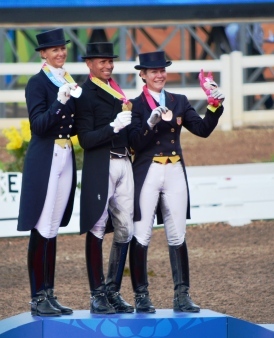 The dressage team of Peters, Heather Blitz, Marissa Festerling and Cesar Parra got the winning going – they cruised to Team Gold over Canada and Colombia – and then reinforced it with a sweep of the individual medals for Peters, Blitz and Festerling. The standard was extraordinary and with each test, a new challenge was handed over. Personal bests were the order of the day for the freestyles, Blitz and her Paragon made Olympic veteran Peters work for every point, after they wowed the crowd at their first Team Championship. Festerling commandeered a terrific Bronze medal effort out of a very energetic Big Tyme and also stood on the podium for the second time at her first championship. 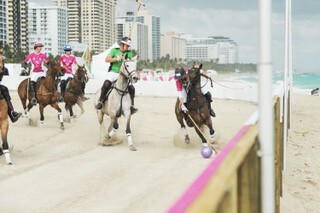 The eventing team arrived in Mexico with something to prove. Of the five riders, only one had represented the U.S. before and that rider, Buck Davidson, took his role as Team Captain to heart. It began in the dressage where they all rode into the top 10 individually, Michael Pollard rode his wife Nathalie’s Schoensgreen Hanni to second, Hannah Burnett was right behind him in third on Jacqueline Mars’ Harbour Pilot, followed closely by Davidson who rode Sharon Will’s Absolute Liberty in the pathfinder position to fourth, right behind him was Shannon Lilley on The Lilley Group’s Ballingowan Pizazz, and Lynn Symansky coaxed a masterful effort out of Donner who found the atmosphere at Club Hippica quite exciting. 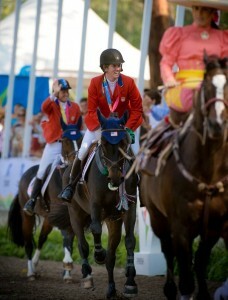 They all were chasing Canadian Jessica Phoenix individually – but their lead as a team was secure. And it was never threatened. 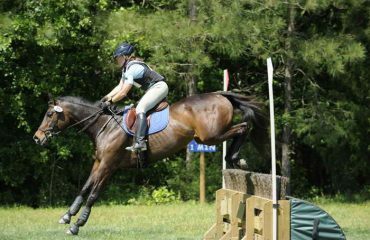 They added zero to their dressage scores in the team competition, jumping clean and fast around the cross-country course at Santa Sofia Golf Course and then jumping five double-clear rounds in the team show jumping round on Sunday. Only the top three individuals from each nation could return to jump for individual medals and the U.S. added two more double-clear efforts, moving Burnett into the Individual Silver position and Davidson into Individual Bronze. Pollard had two rails down and settled for fourth. 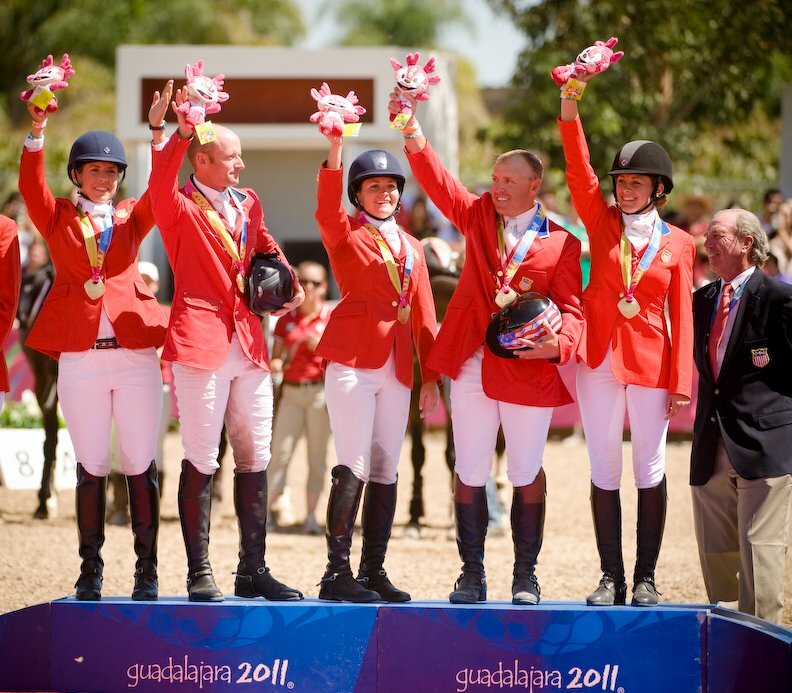 The jumping team arrived with more than just completing a Pan Am sweep on the brain – they were also seeking qualification for the 2012 Olympic Games. They never wavered in the face of that enormous pressure. 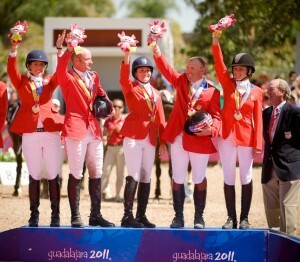 They jumped eight clear rounds between them in the Nations Cup to secure Team Gold by a wide margin over Brazil and Mexico. Led throughout the first four rounds by two-time Olympic Gold medalist Beezie Madden on Coral Reef Via Volo – Christine McCrea and Romantovich Take One sat second, McLain Ward and Antares were third, the fourth American horse, RCG Farm’s Uceko, ridden by Kent Farrington, had the same fate as some of his teammates in other disciplines, as only three from each nation could go forward to the Individual Final. 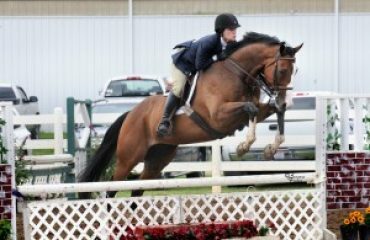 He was in seventh going into the Individual Final. Javier Fernandez set a difficult track for the fifth round of jumping – not backing off of the1.60m maximum height. 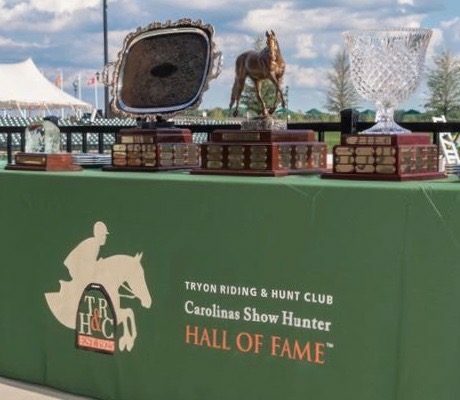 Ward and Grant Road Partners, LLC’ Antares F had the middle element of the triple combination down to end up fourth – Brazilian Bernardo Alves moved up to the podium on Bridgit – so it came down to a clash between two American women. McCrea set the standard jumping second to last on a super-charged Romantovich Take One. They jumped an impressive clear inside a very difficult time allowed. 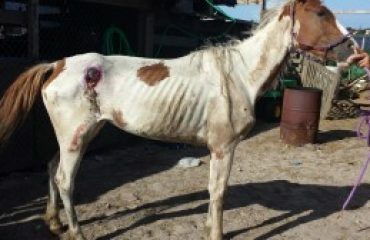 Madden had it all to play for – without a point in hand on Coral Reef Ranch’s mare over her teammate. Less than a tenth of a second determined the fate of the medals, and Madden was 7/100ths of a second late. 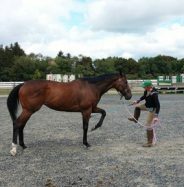 She added one time fault and McCrea suddenly found herself a double Gold medalist at her first Pan American Games. Madden settled for Silver in a classic and classy performance.